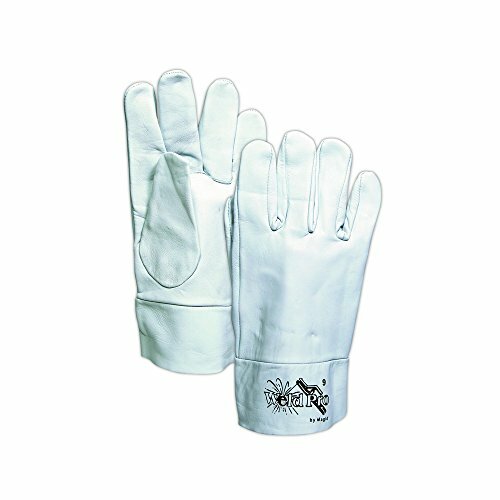 The WeldPro 1290B Goatskin Tigwelders Gloves are manufactured from 100% unlined goatskin grain leather. Goatskin is top-quality leather that provides you with premium flexibility and form-fitting comfort. These leather cuff welding gauntlets feature a set-in welted thumb, gunn cut pattern, and a 2" leather cuff for flexibility and a perfect fit. Over 60 years of quality, expertise, and commitment go into every glove that Magid Glove & Safety creates, so choose Magid for your hand protection needs!